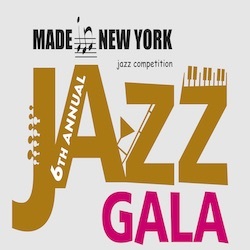 Annual Jazz Gala that features participants of the Made in New York Jazz competition and Jazz masters. Featuring: Legendary drummer Al Foster who played with Miles Davis, Herbie Hancock, Sonny Rollins, Joe Henderson and many more…. John Lee - From 1984 thru 1993, John Lee was Dizzy Gillespie’s bassist. Performing and recording in the trumpet master’s various bands including the Dizzy Gillespie Quintet, Dizzy Gillespie Big Band, and Dizzy’s Grammy Award winning United Nation Orchestra. John has also worked in the bands of Gary Bartz, Larry Coryell, Jon Faddis, Aretha Franklin, Roberta Gambarini, Roy Hargrove, Jimmy Heath, Gregory Hines, Claudio Roditi, Sonny Rollins, and McCoy Tyner. Bobby Sanabria is a 7-time Grammy-nominee as a leader! A noted drummer, percussionist, composer, arranger, conductor, producer, educator, documentary film maker, and bandleader of Puerto Rican descent born and raised in NY’s South Bronx. Alex Norris who worked with many noted jazz musicians such as Slide Hampton, Joshua Redman, Brad Mehldau, Chris Potter, Carl Allen, John Patitucci, Mulgrew Miller, and Brian Blade. Norris is very active in Afro-Cuban jazz, as well, having worked with Andy and Jerry González, Manny Oquendo, Paquito D’Rivera, and Chico O’Farril.